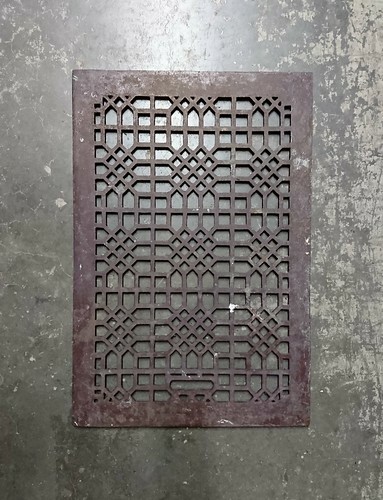 Cast iron floor and baseboard registers have been around for over a hundred years and have remained more or less unchanged as far as function is concerned. Like a lot of things, though, they’re not being made like they used to be. After all the effort that goes into new or refinished hardwood floors, most of our clients are looking for a register with a little more style and substance than the light-weight variety that is widely available. 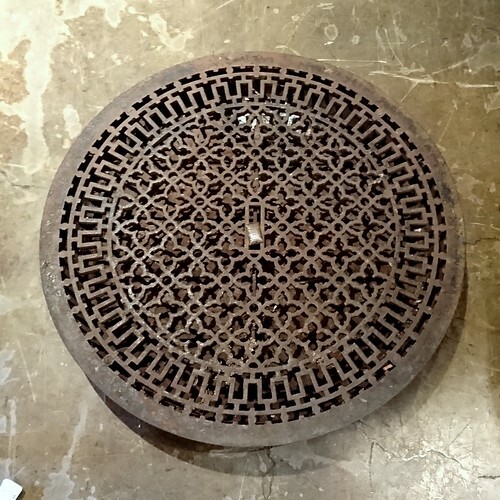 The Door Store offers a large selection of stunning antique registers as well as quality cast reproductions in many sizes. Dating back to the late 1800′s these registers are truly beautiful pieces, fully deserving of their prominent placement in front hallways, dining rooms, and the like. When we get them they are usually caked in a century of paint and the intricate patterns are barely discernable. 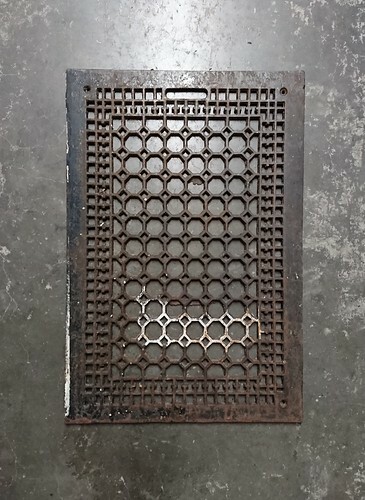 We sandblast them to reveal their underlying beauty, and then give them a durable powder coat finish so they can be enjoyed for another hundred years. Elegant Solutions for Modern Ductwork. 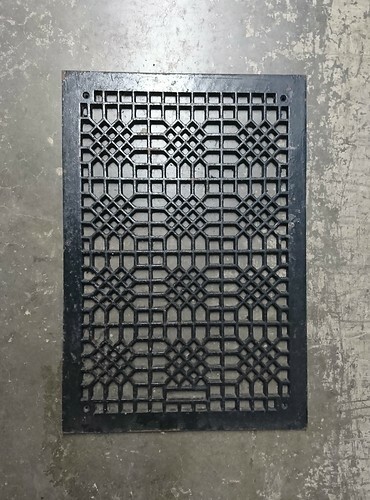 Reproduction registers are a great alternative when you have modern duct openings. 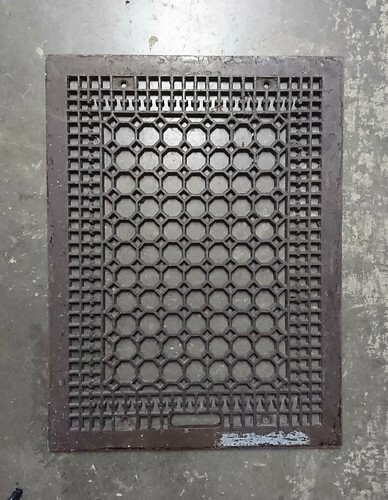 Our line of solid cast reproduction registers comes in a large range of sizes, which can usually accommodate even uncommon measurements. Available in a variety of finishes and materials, there are two patterns available: a traditional scroll design and a more contemporary square design, although the latter is currently available in only the most common sizes. 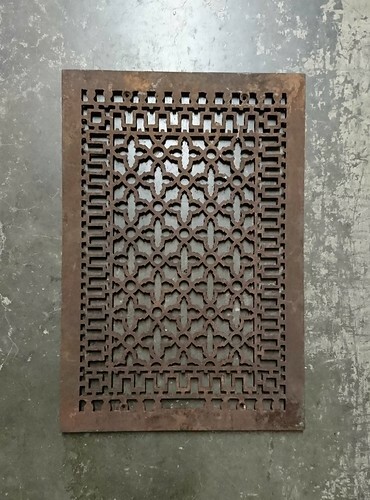 Bring the beauty of our antique grates up to eye level by framing them into wooden garden gates. They look fantastic either with original rough, peeling paint or in a sleek and durable powder coated finish. Come in to browse the myriad patterns and sizes. When measuring, the opening size is most important, but if the registers will be sunk to be flush with the floor, then the overall size is important too. Whenever possible, it is best to shop for registers before laying new flooring or having existing flooring refinished so that you can be a little flexible for size.